I just wanted to say thanks for writing the best damn books ever. I had never read a book in my life until I read Hal Spacejock (and I'm 15 years old). We've only just got the second book in at the local library but I am eagerly awaiting your other books. 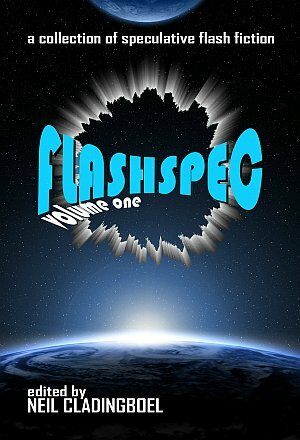 I replied with thanks and a short list of authors writing SF and Fantasy humour, because once someone's been sucked into reading ONE book they might try a few more. 1) Churn out approximately one million words of fiction. This is your practice session. Can be short stories, stillborn novels, crappy stories you just can't finish, fan fiction, anything. Blog posts and email don't count towards the total, but they're all good practice for typing what you mean to say and learning to use the language professionally. This is going to sound harsh, but if you don't care whether your emails and blog posts are grammatically correct and reasonably free of typos, then you may not care enough about the language to be a writer. Take a minute to think about the impression you're leaving with the people you write to. They will probably be the first you tell about your book, and if they're used to shoddy grammar and typos in your emails they might jump to the conclusion that your book is more of the same. 2) Write a good strong book and polish it well. Sometimes it's hard to spot the flaws in your own work, so ask first readers to pick holes in it. Accept their comments gracefully, because if you argue they won't make any more. And if you're not going to listen to them, why ask them to read it in the first place? Years ago I read something for a contact of mine, and I did a thorough job on it, too. I ended up with several pages of queries, but every point I raised was argued down to the wire, until eventually I gave up. That author wasn't after feedback, they just wanted kind words and a pat on the back. The experience wasn't a complete waste of time because it taught me how tough life is for editors, and it taught me to explain to readers what I needed from them. 3) Query agents (At least 100 before giving up on that novel) Boy, did I get this one wrong. I thought 'No unsolicited submissions' meant they didn't want to hear from people they hadn't asked to submit work to them. No wonder I gave up looking for an agent so quickly. For fiction, you don't query agents until you have a finished manuscript. And a timely reminder: Never pay an agent Agents take a cut from the publisher's payment to you. You don't pay them up front for anything. The other reminder: If the agent suggests an editor who will help tidy up your manuscript for a modest fee, say no thanks and find another agent. You're a writer, not an envelope stuffer. If you do get published, you'll discover that your editor is interested in your current book but everyone else wants to know what your next project is. So make sure you have one. Now repeat 3-4 until you get an agent. If it takes you two years you might have 2 or 3 completed novels, and they get better the more you write. If you DO get an agent your best bet is to write more books. If they discover they can't sell the work they signed you up for, they might have better luck with your next project. It might take them 12 months to give up on the first book, so wouldn't it be great to have another to offer them? Repeat 2 until the agent and/or publisher ditches you. If agent, find another one. If publisher, let your agent find another one. You should be writing. Skipping any of these steps will reduce your chances considerably. Glenda Larke suggested another step... READ READ and READ some more. How can you possibly hope to write a publishable manuscript if you're not absorbing others just as fast as you can? So much for my ideas. What pointers can YOU share with people reading this blog? Comments below. The final draft is DONE. 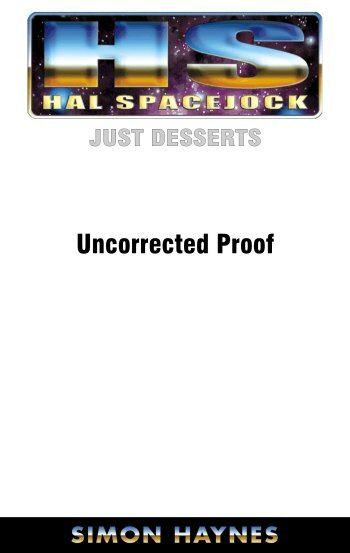 This is my THIRD go at Hal Spacejock Just Desserts, the third book in the Hal Spacejock series, which means I've put more work into this thing than most authors put into an entire fantasy trilogy. Each time I've torn the plot apart and started again, and this time I believe I've got it right. The first version was a political satire. The second had less of the politics but not enough of anything else to replace it. This one has zero politics and a load of the Hal & Clunk goodness people have come to expect. It will undergo tweaks (particularly the very last chapter) but at least my publisher now has something to print. And only 7 days past my deadline. In September 2005 this was a 'finished' book, and I've spent most of the past nine months rewriting it. Twice. Over the past three months I've done nothing but eat, sleep and write. After all that work, I sincerely hope it meets expectations.